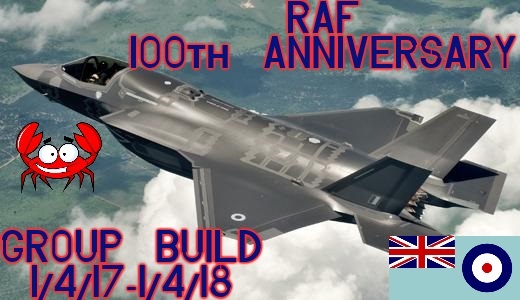 Welcome to the Headquarters Air Command officially approved 100th Anniversary RAF GB. 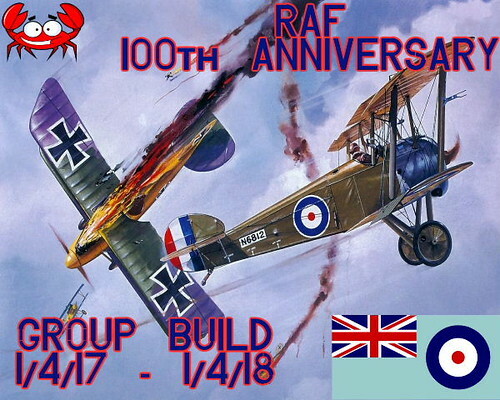 Formed on the 1st April 1918 (apparently it’s not an April fool’s joke, but many are yet to be convinced ) by the merger of the Royal Navy’s Royal Naval Air Service and the British Army’s Royal Flying Corps, Britain’s Royal Air Force (AKA Crab Air) was the first and so the oldest independent air force. 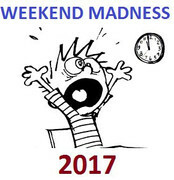 So, how can you mark this important event? 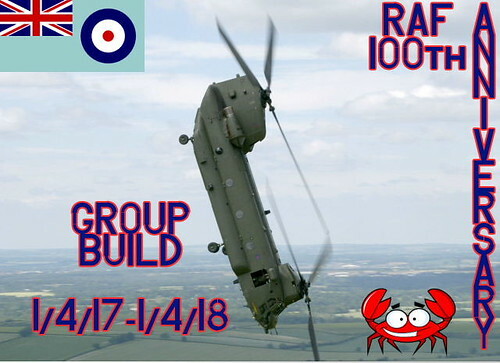 Easy, you can build something connected with the RAF. This can include, well, I think aircraft would be a good start. But also vehicles, figures, busts and anything else you can think of. But there is more. 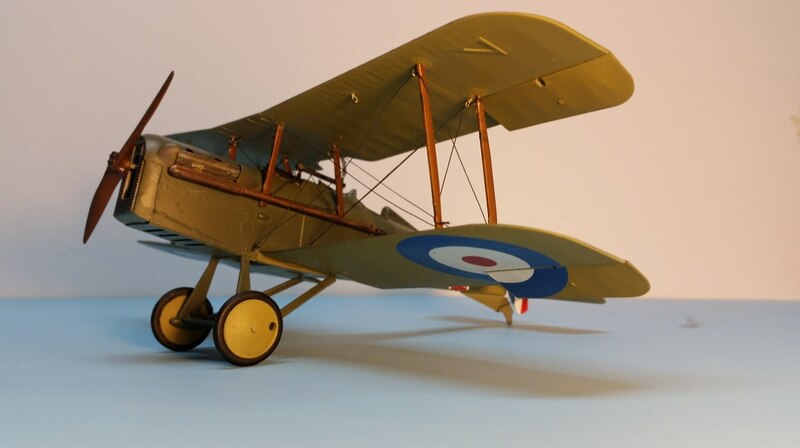 Also allowed are builds from the RAF predecessors, the RNAS and RFC. 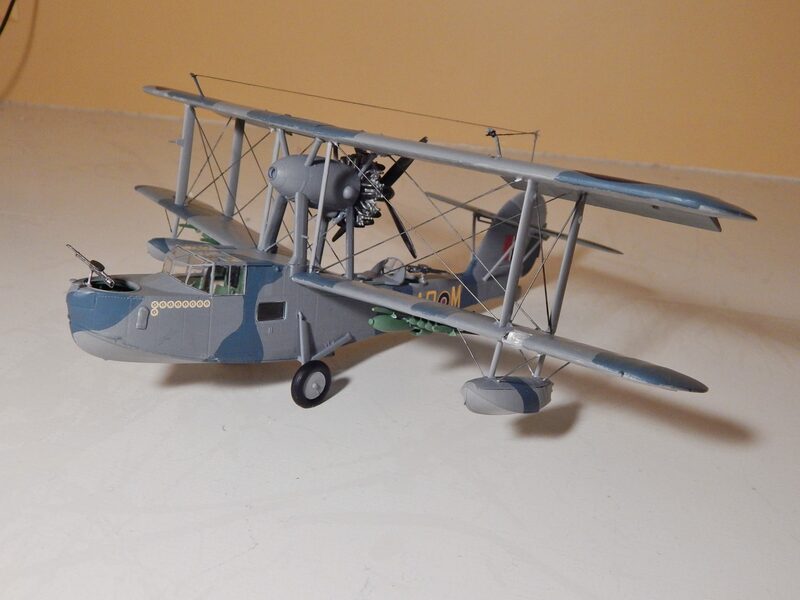 Plus, the FAA was a part of the RAF from 1924 until coming under navy command in 1939, so FAA builds from that period count. 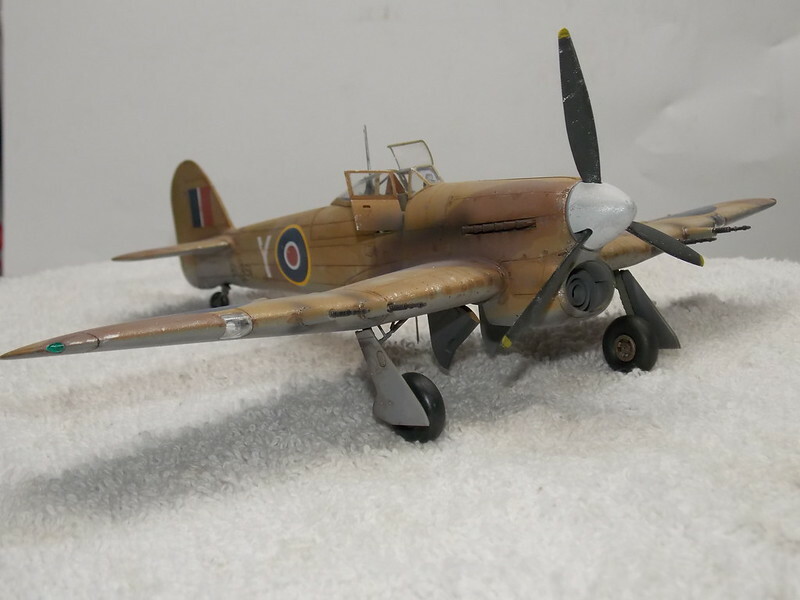 And more, foreign units that fought as part of the RAF. These could be Czech, Polish, American, Australian, Canadian, New Zealand or any others. 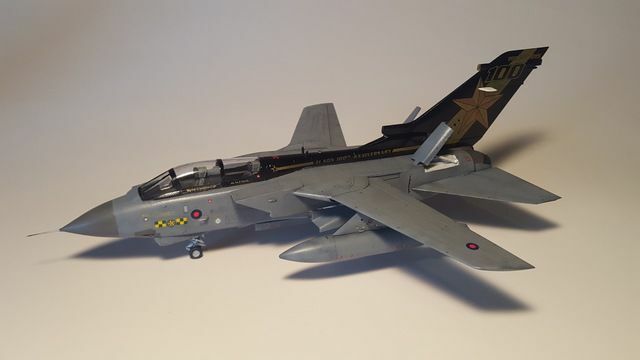 Captured aircraft in RAF markings and plausible ‘What If’s’ such as the F-111K and TSR-2 can also be included. And I am sure I may have missed something, so if you’re not sure, just ask. So you have plenty of options and no excuses. Now for the rules. 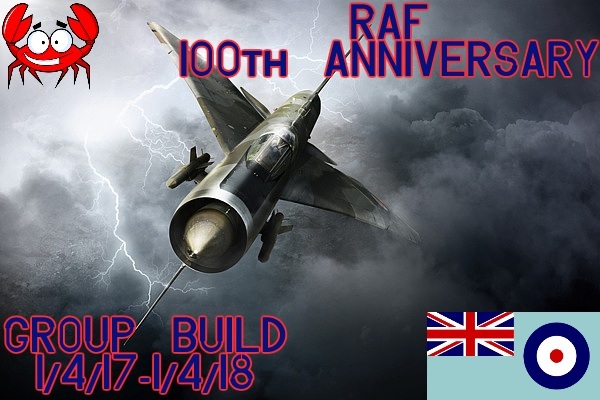 Build begins April 1st 2017 and ends April 1st 2018. Progress pics are a must. Partially started within reason is ok, and of course, any scale, AM or OOB and all the usual stuff. 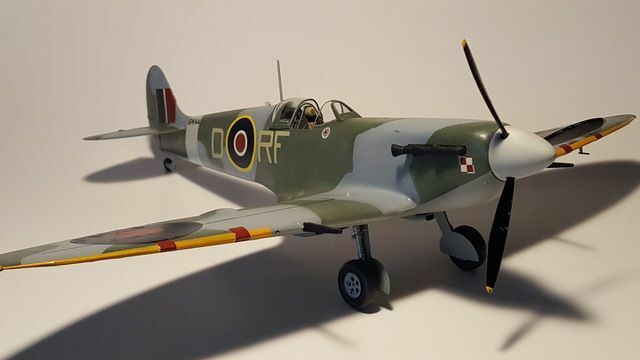 And even though it goes against everything i hold dear and true, Spitfires are allowed. If your not sure if a subject would fit the bill, or if you wnat a spot of inspiration, the RAF website may be able to help. 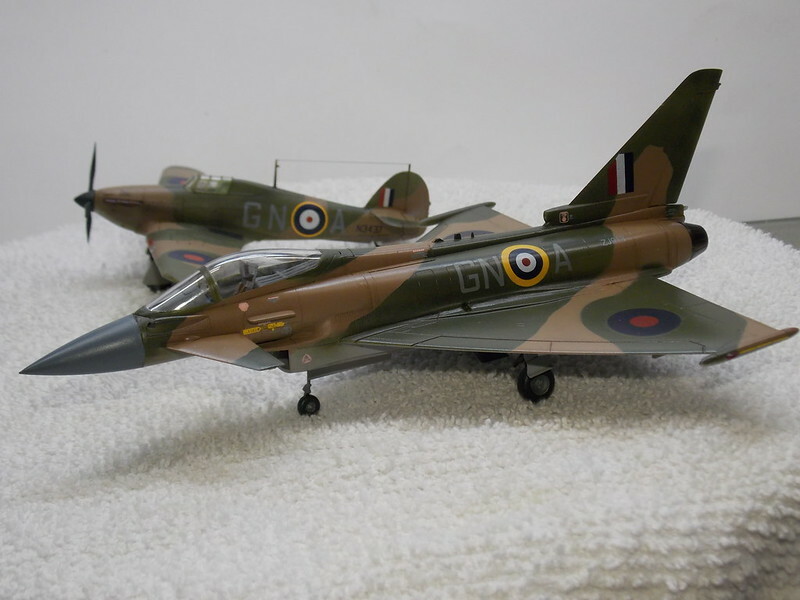 This page has links which cover all aircraft used by the RAF including civilian and foreign. 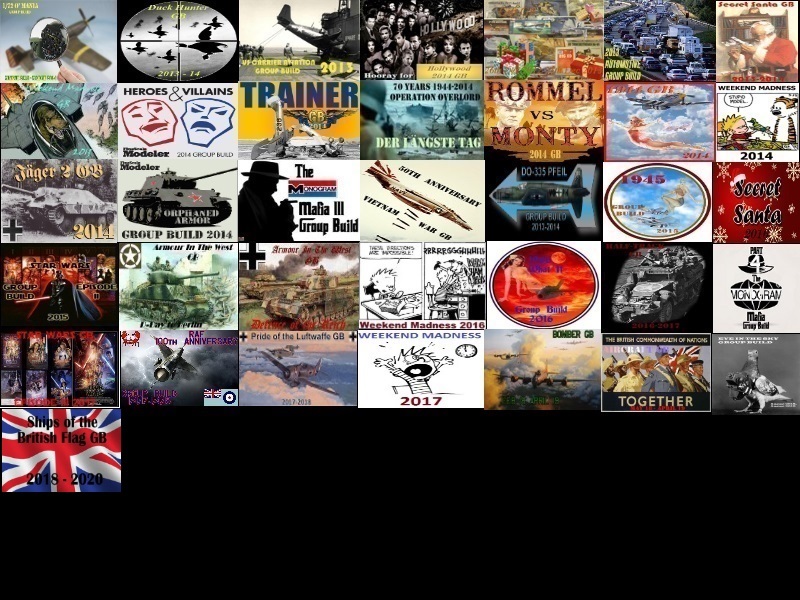 And now for your reward, a choice of one of 5 badges covering the history and future of the RAF. 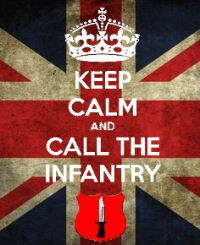 So, sign up here for your 12 months service for Queen and country. 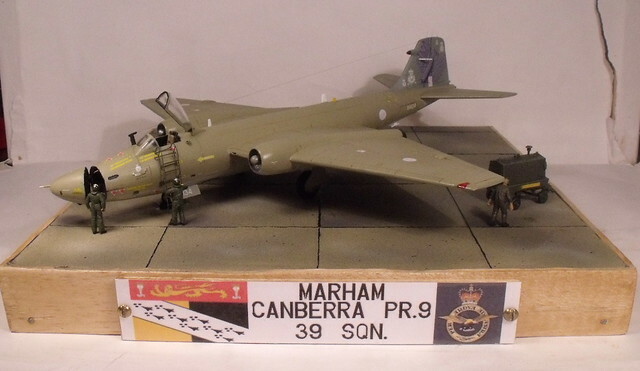 Bish Xtrakit 1/72nd Canberra PR.9. 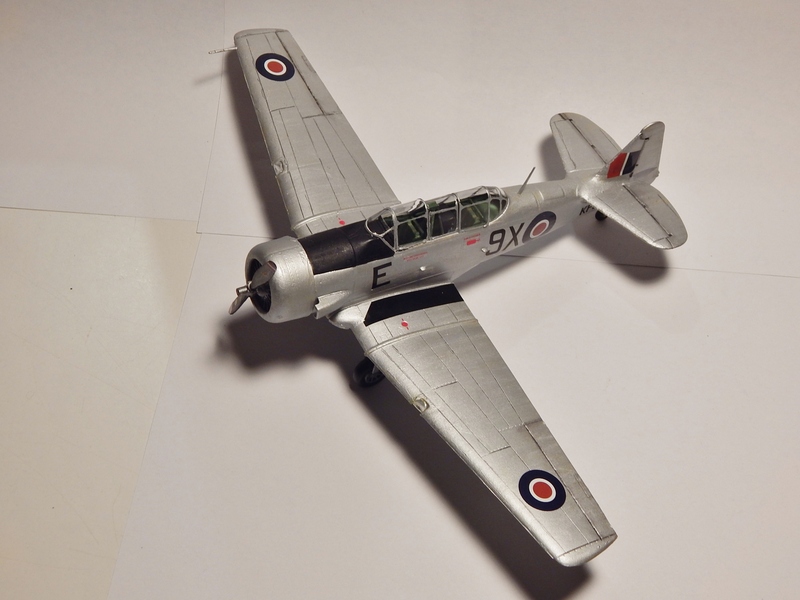 I'll sign up for a 1/48 Hawker Fury from Airfix. 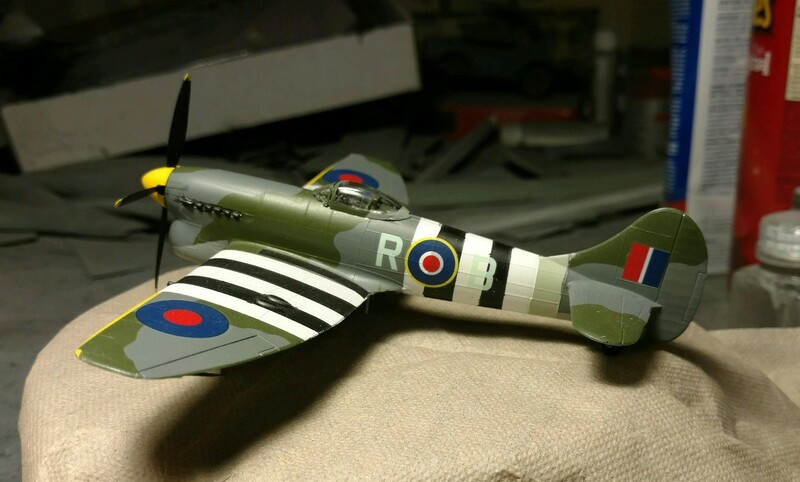 The cockpit is pretty pathetic, but I found a detail set for a Hurricane. I'll substitute that and hope it works. 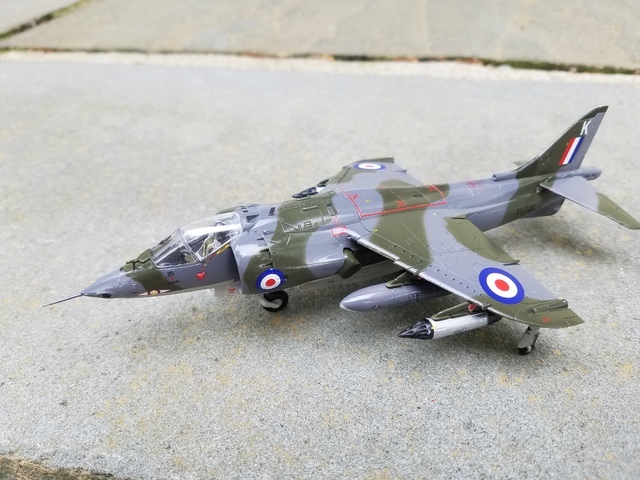 I'll start with an Airfix Harrier GR.1 1/72. 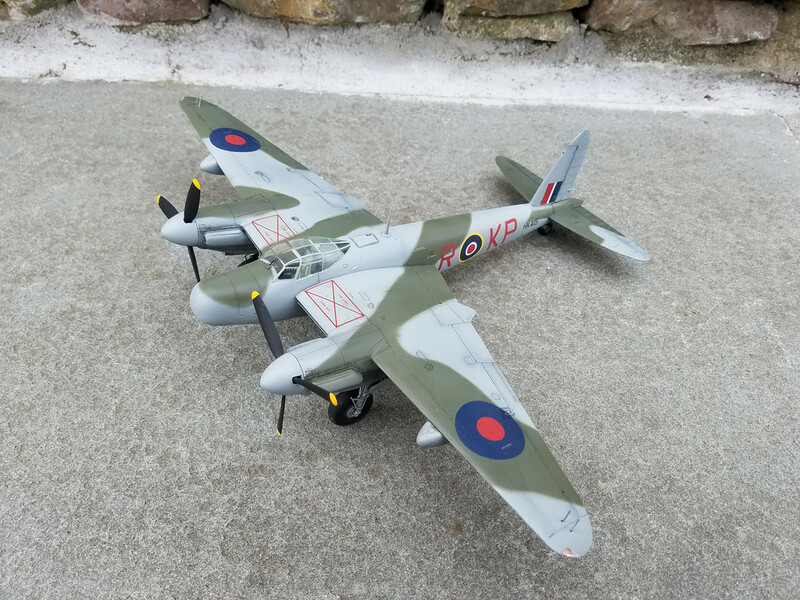 I'm in, Bish, with a 1/72 Airfix Handley-Page Hampden from the Victoria Cross Icons kit. You know I'm in!!!!! I'll be serving the Queen by flying (building) a Victor! Desert Storm era. 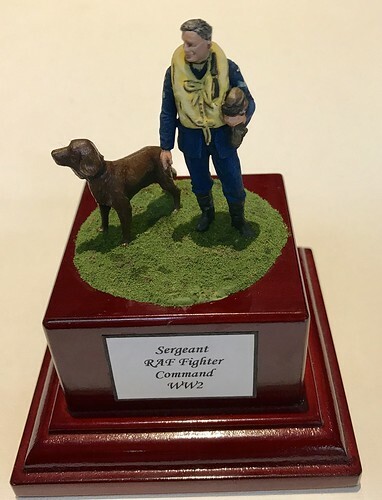 I saw them there when I was there and thought they were beautiful...not to mention the British were allowed to have MUCH better nose art then we were. LOL! Put me down for this one boss! 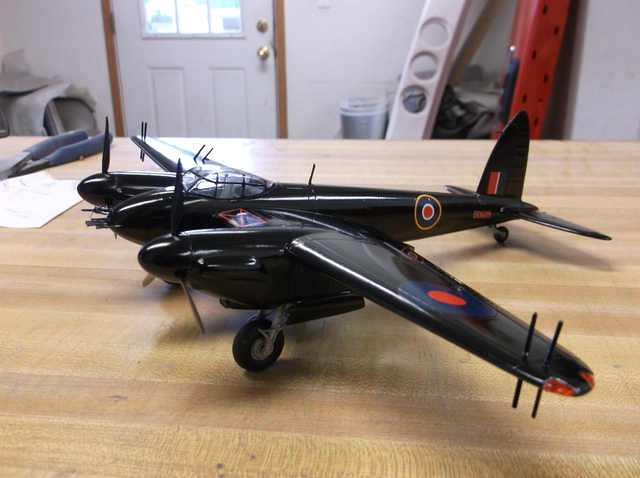 I'm thinking that this GB may need a single engine WWII fighter - so there's really only one choice - right ? Of course this is only the kit . 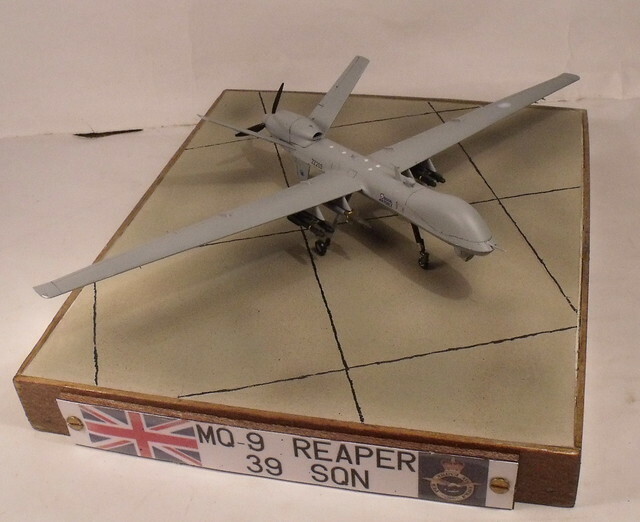 . . She'll have RAF markings - and most likely - she won't be set up as a tropical version. Pardon my ignorance - but what is the significance of the red crab on all the badges ? 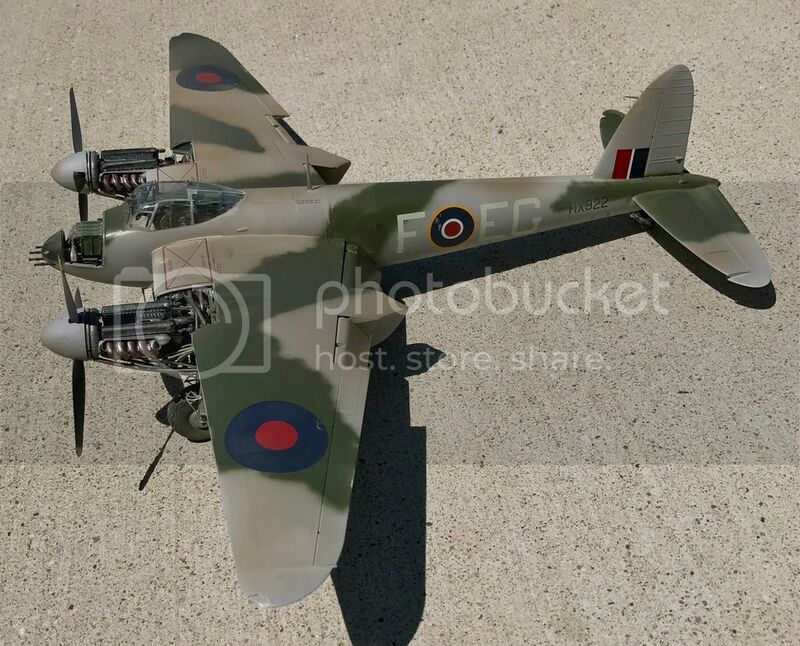 Don't know what it will be, but it will be 1/72 and most likely an Airfix kit. Got you all down guys, thnaks for signing up. Bossman, is that kit 48th, wasn't sure so have not aded a scale. As to the crab, glad you ask. 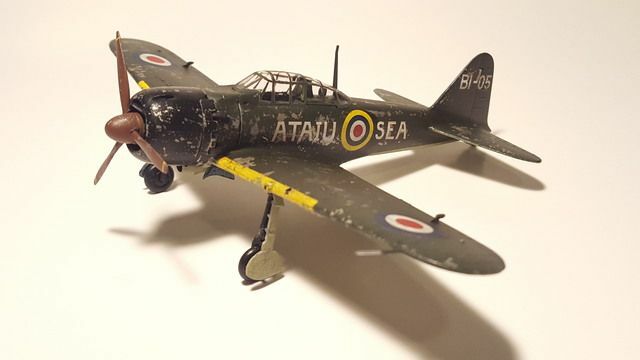 The unofficial knickname of the RAF is Crab Air and RAF personel are reffered to as crabs. 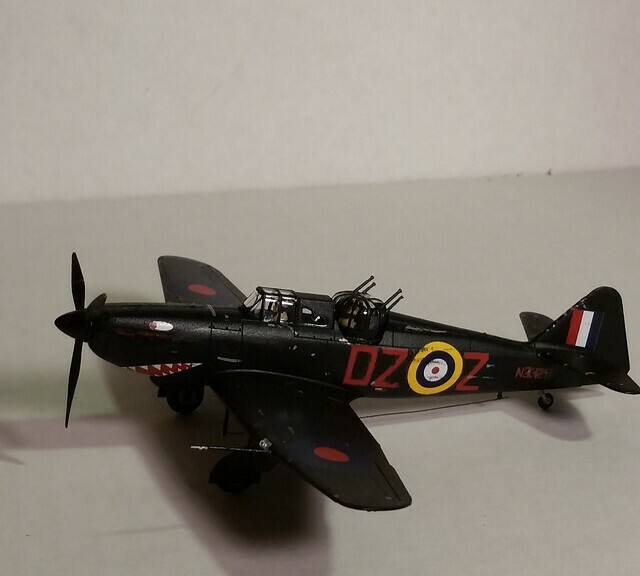 Yeah, this is a 1/48 Hasegawa kit . . . a bit out of the ordinary for me. No worries Bossman, got it added. Do you mean the scale or the subject. 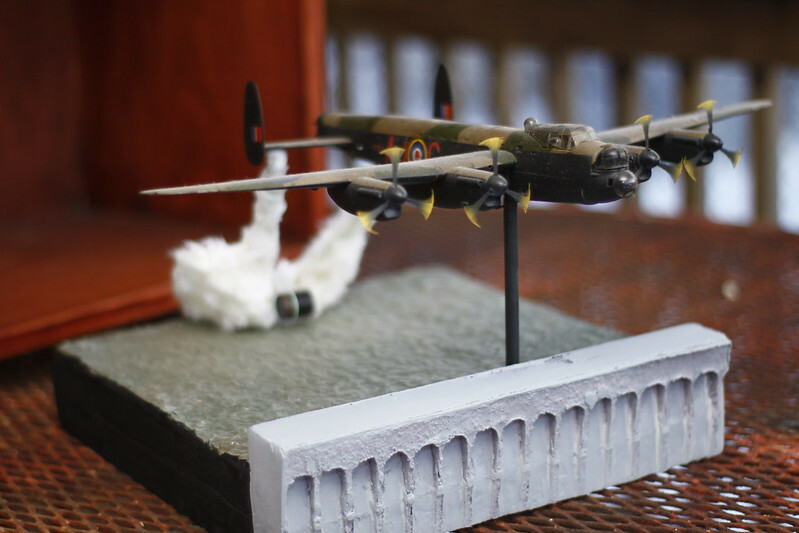 Hello Bish, I would like to enter in my 1/72 Avro Lancaster B Mk III. Markings are for 1944. 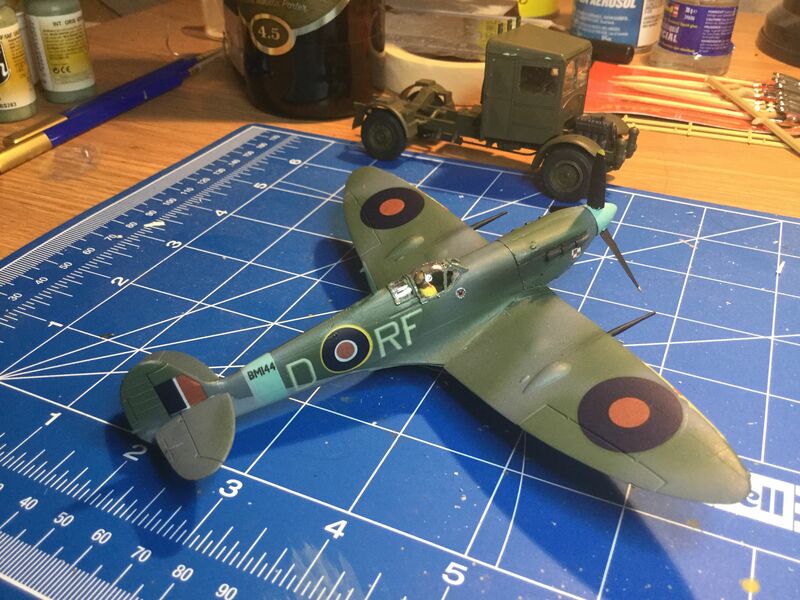 The two spitfires are complete, the Lancaster unstarted. On my Work Bench: Academy 1/48 F-15E Eagle. Nice one Dan. Having been lucky enough to get inside the BBMF lanc, i'll be looking forward to that. If my long past grandfather knew I was on speaking trems with the "English" he would turn in his grave! His father was a "guest" at St. Helena courtecy of His Magisty. 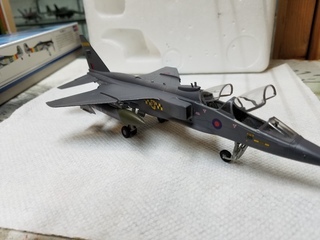 Oh - definitely the scale - I'm mostly a 1/72 guy. 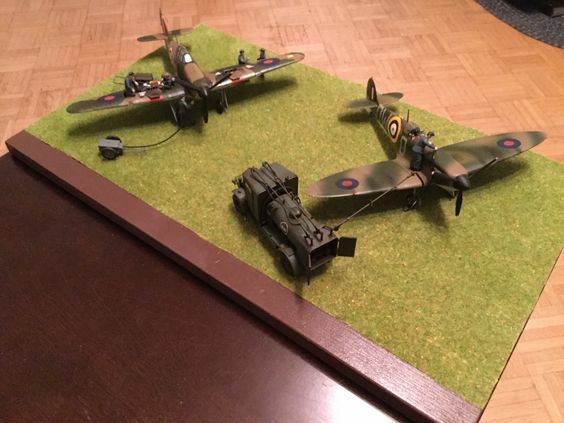 My build shelves are about a 50/50 ratio of RAF and USAF. 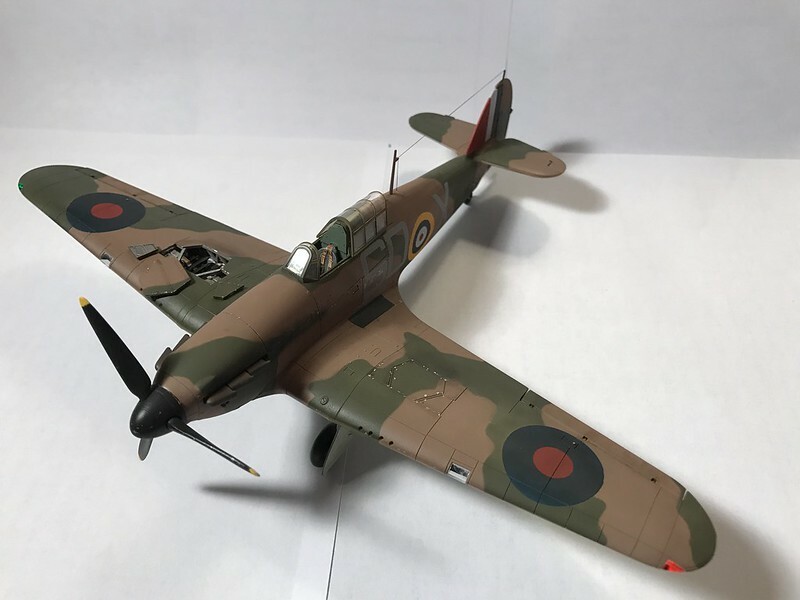 The Hurricane is a favorite of mine. Theuns, indeed they have. The two regiments which merged in 59 to form the one i spent most of my time in were both at Spion Kop. And to think just 14 years later we were fighting side by side. Same here, though i do have a smal slection of 32nd. 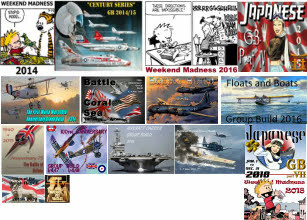 Nice Hurricanes there, looking forward to more of the same. 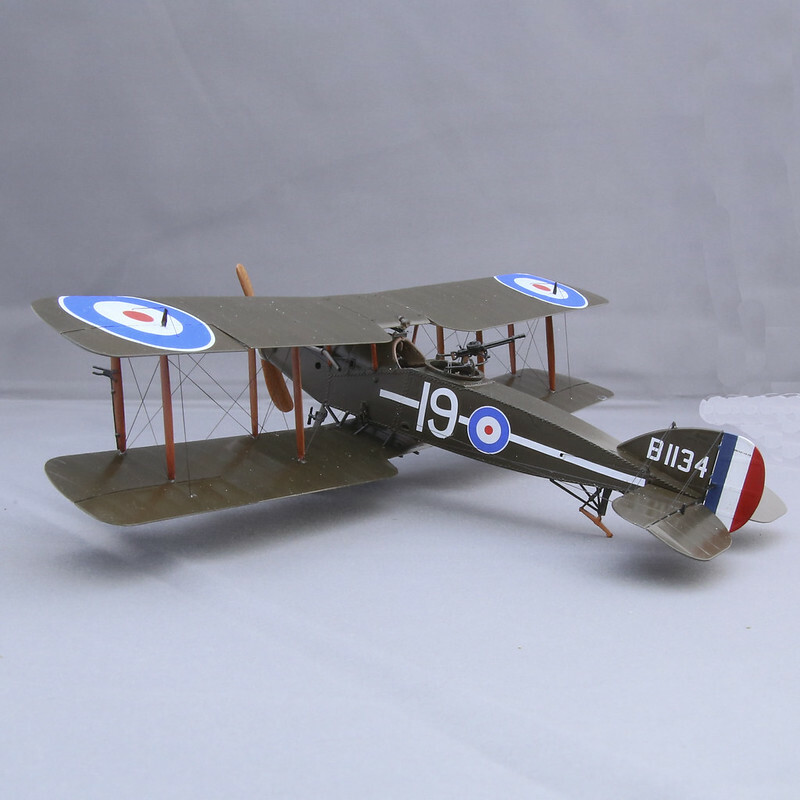 Hi Bish, put me down for a Sopwith Camel, an Eduard 1/48 kit. Nice one jack. That gives us a spread from WW1 to fairly recent. 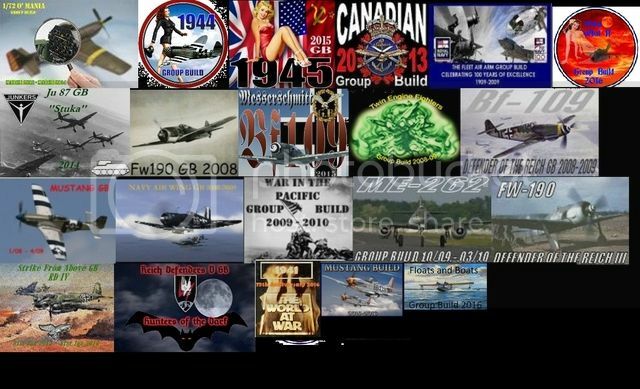 Going to have to check those links, they seem like some amazing pilots. And good to see the Commonwealth being represented. We would have been pretty stuck without them. There was a Canadian pilot at RAF Odiham who flew Chinooks when i was there, he was a bit of a character. Those are fantastic looking Hurricanes Chris! That would be nice. I have an Academy 17C to do as a Fortress I, if i remember right, the G was known as the Fortress III. Would be nice to see that. Like I said, the Hurri is a favorite of mine - so I consider this . . .
. . . a small tragedy. 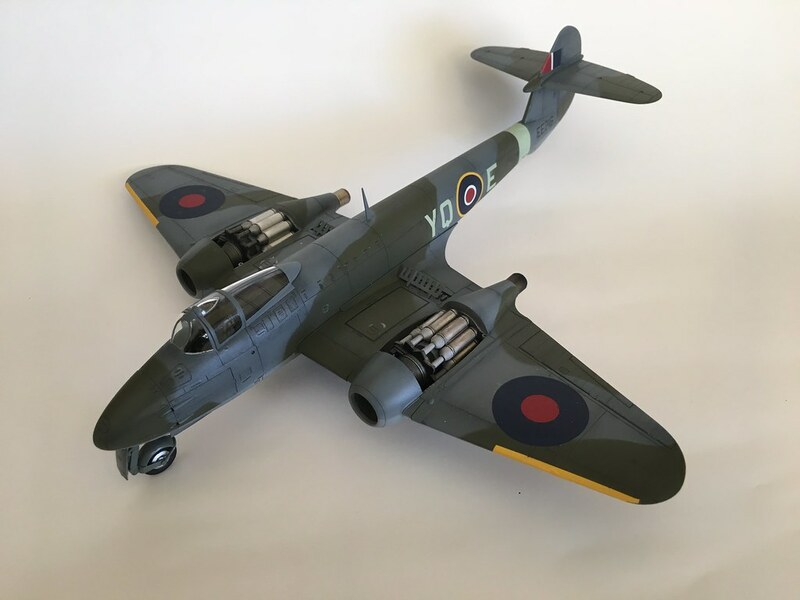 I have the B-17 g kit but no decals for it, I also think to try give soem "feel" to such a large area of model in either only green or bare metal might be difficult for me. 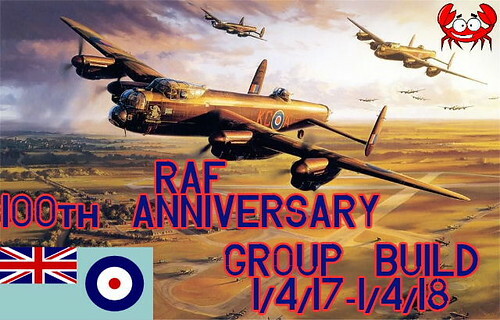 I like the way that the RAF Bommber Command's colours look on the 17, even Costal command had a few, that might also be an option. 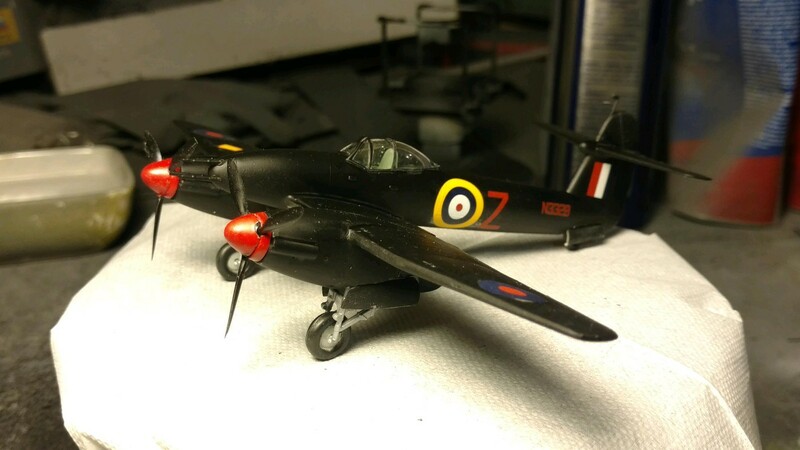 I have some RAF decals I can use to make up a scheme, even if the Sqn dodes are made up. 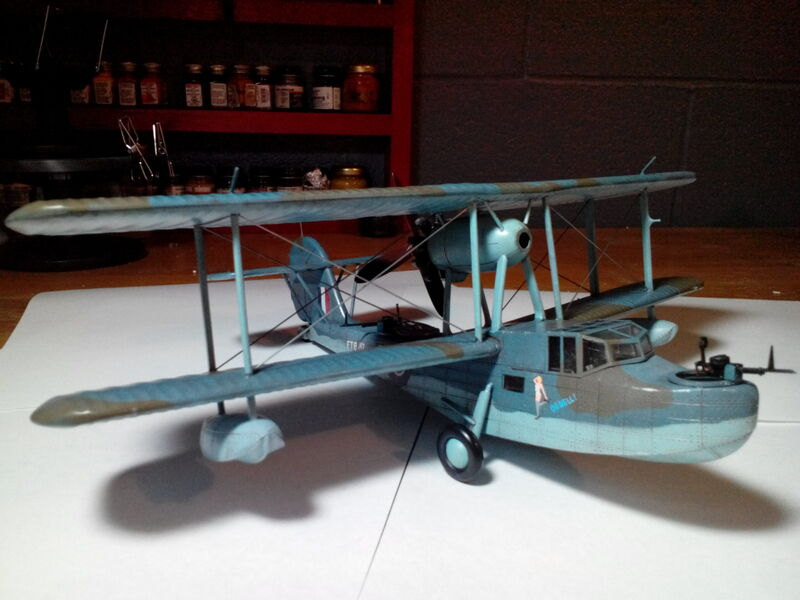 Theuns, Kitsworld has 3 decal sets for 48th Fortress III's if you wanted to take that option. 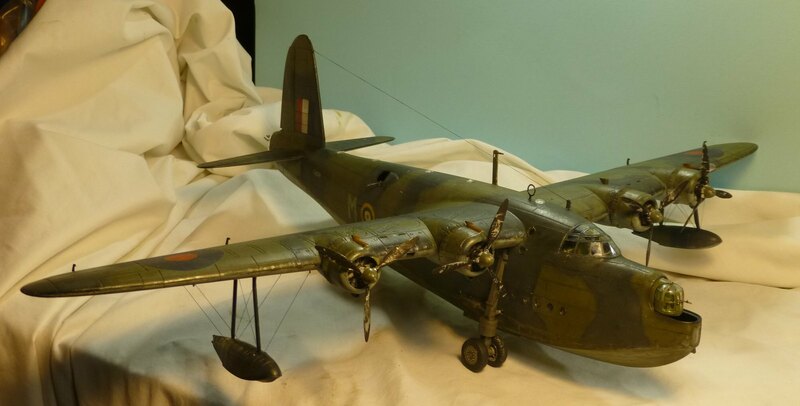 One is for a Bomber Command aircraft the other 2 Coastal Command. Afraid the Lynx would not fit as they are not flown by the RAF, only Army and Navy. Thanks Chris! 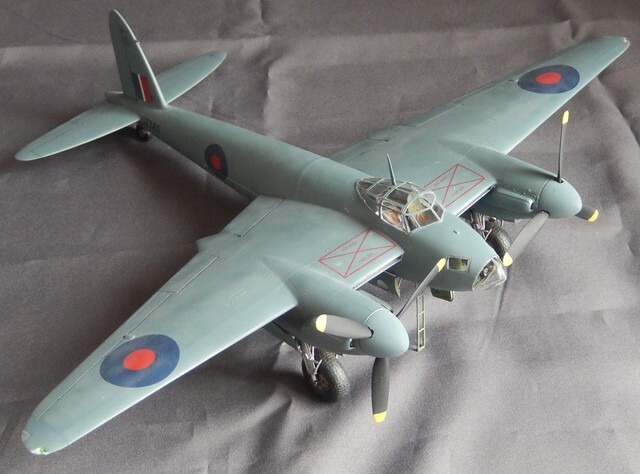 I've been looking at the new Airfix 1/48th kits for sometime in the future. As to now I just bought four tank kits as Christmas gifts for myself and I've been trying to stop buying so much stuff. This looks like a fun GB to participate in. 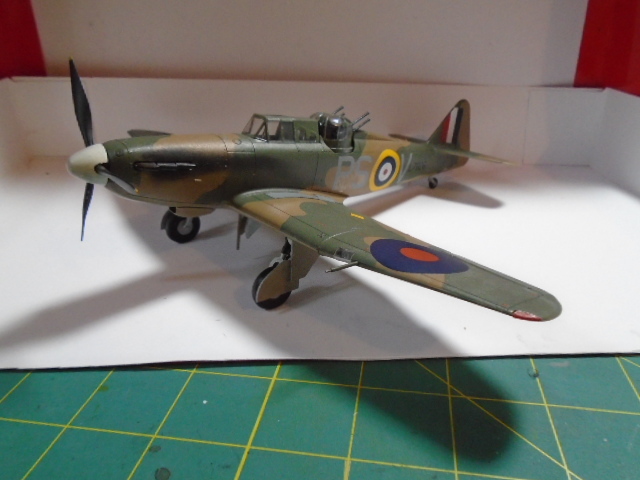 Although I have a rule to build what is in my stash, which for this GB might be a 1/32 SE5. 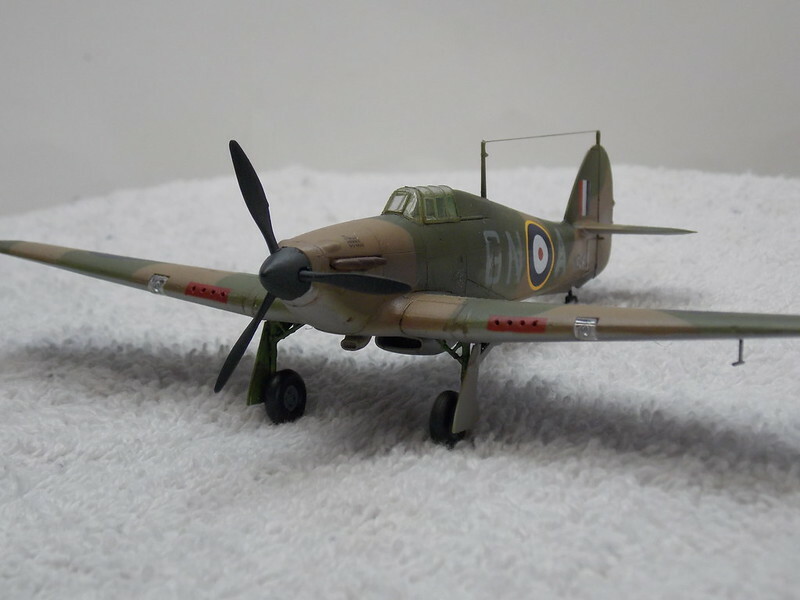 I would also think it would be a treat to build a Typhoon and F35 in the Battle of Britain or 100th aniversary colors, or one of each.